This unusual find was made by our archaeologists working at Blackfriars, Gloucester, where much of the Dominican friary, founded in 1239, still survives. 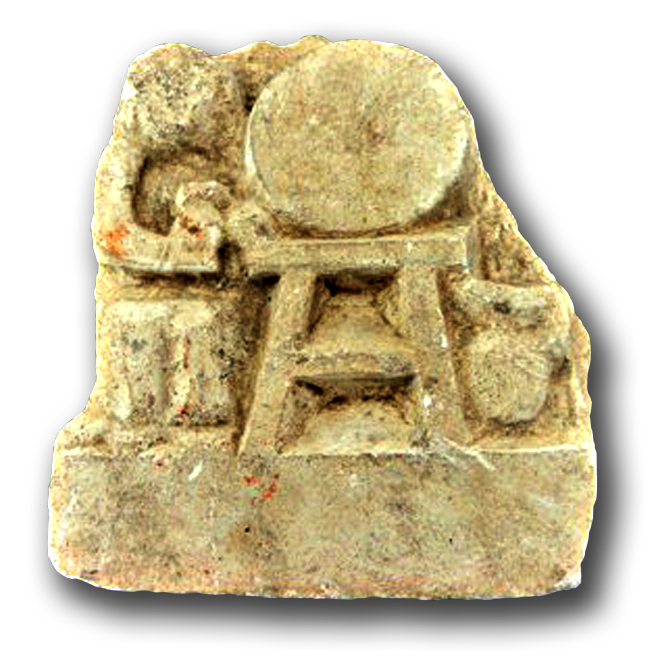 It is part of a limestone panel, sculpted in low relief and showing a seated male figure next to a barrel which is supported on a table. The figure would seem to be filling a foaming tankard from the tap at the base of the barrel.The stone was competently cut but not well detailed, particularly around the figure. Both edges are broken which suggests that it was part of a larger decorative frieze, perhaps above a fireplace.In its style and execution the stone panel looks to be late medieval or a little later, but unlikely to be later than 1600.Later medieval church or secular carvings depicting monks or friars indulging in drink and other pleasures are relatively common and are often seen as a commentary on morally errant religious communities. Such an obvious statement made of the friary itself would seem unusual and the likelihood is that the stone panel dates to the immediately post-dissolution use of the site.The friary buildings were converted for use as a private house and the site of a manufactory after the dissolution.The stone panel might possibly relate to the unknown site of an inn or hostelry located near the original friary buildings and making a reference to the former community.The still-standing, though recently closed, Blackfriars public house probably dates to the 19th century, although an earlier establishment may well have occupied the site.